Replacing the old manual steering box to a modern power unit is pretty straight forward. An Isuzu NPR truck box is a good candidate to refit. The pitman arm is the right configuration, except the ball in the wrong size and side of the arm. What we did was replace the NPR ball with the Flxible ball and reverse it in the process. The NPR ball shaft is tapered while the Flx ball shaft is straight. 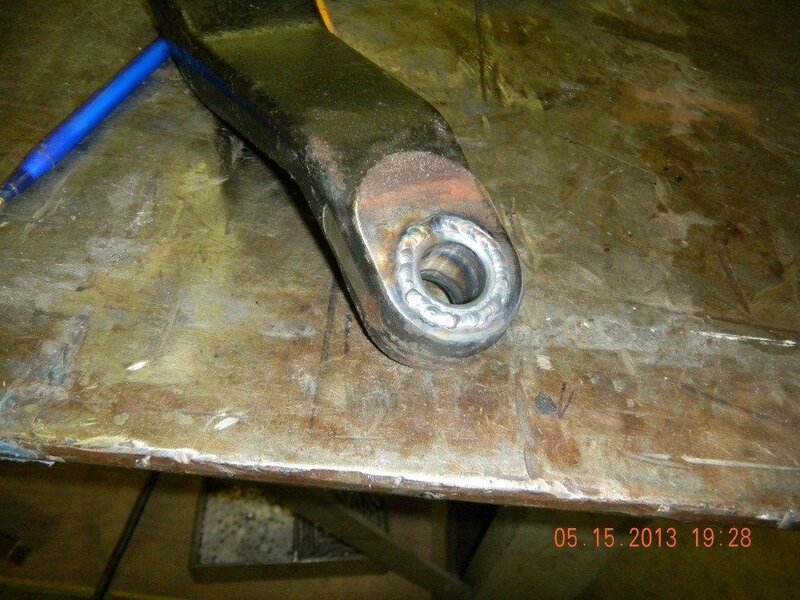 We machine the arm, insert the proper size bushing, weld it up. 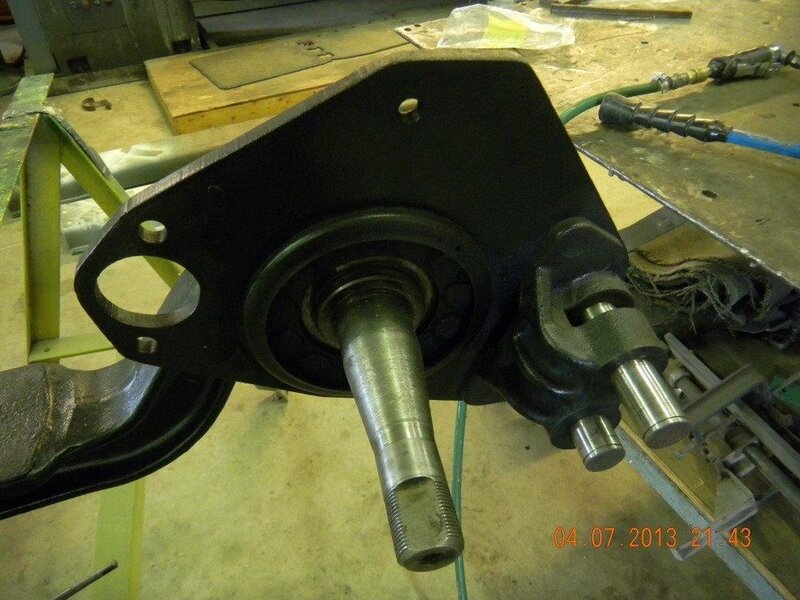 Now the Flx ball shaft can be inserted on the proper side and ready for install. 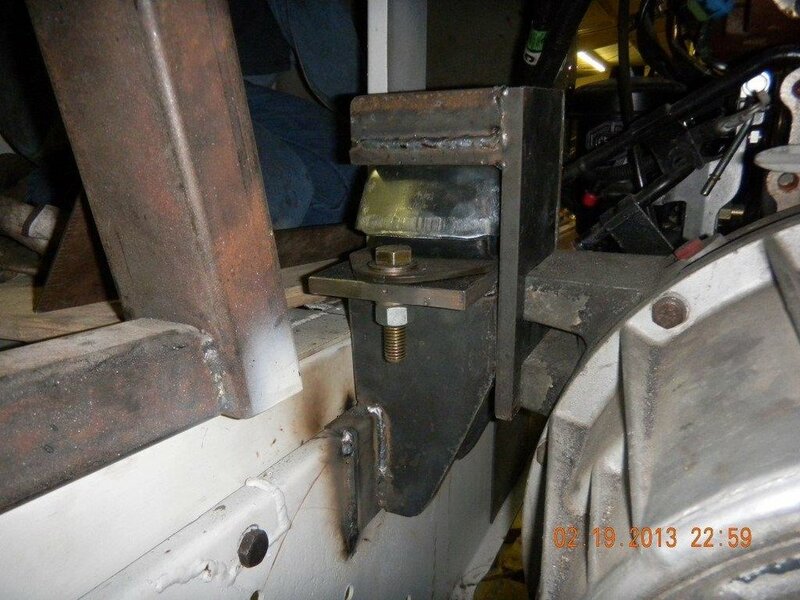 The box itself has an adapter plate with corresponding mounting bolts and welded to the chassis. Plumb the steering box to the power steering pump and now a fine steering feel. The Isuzu power steering box is mounted to the chassis. The new tilt and telescoping column with the new banjo steering wheel is mounted. The u-joints that connect the column to the steering box. A new air brake treadle and electronic throttle are installed. 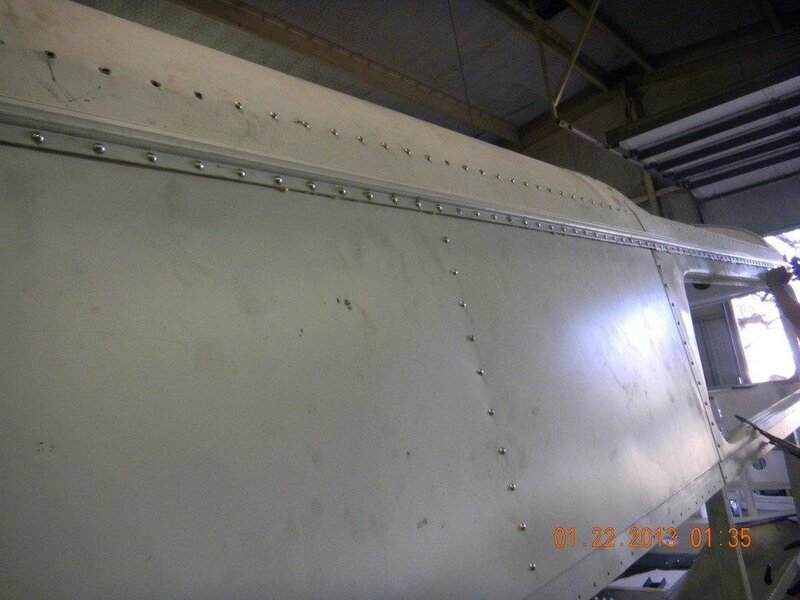 The stainless trim panels have been formed using No.8 mirror finish. The panels are bonded to the side panels and clamped to set. 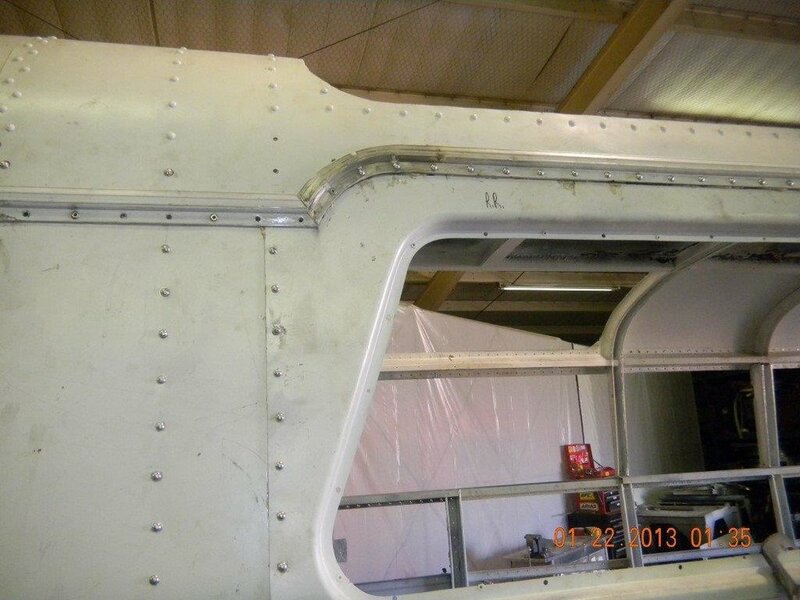 These panel will receive polished ss machine screws to maintain the rivet line. This is the backside of the rear door panels. With the bumper supports bolted in with a rubber cushion, the bumper is fitted to the supports. 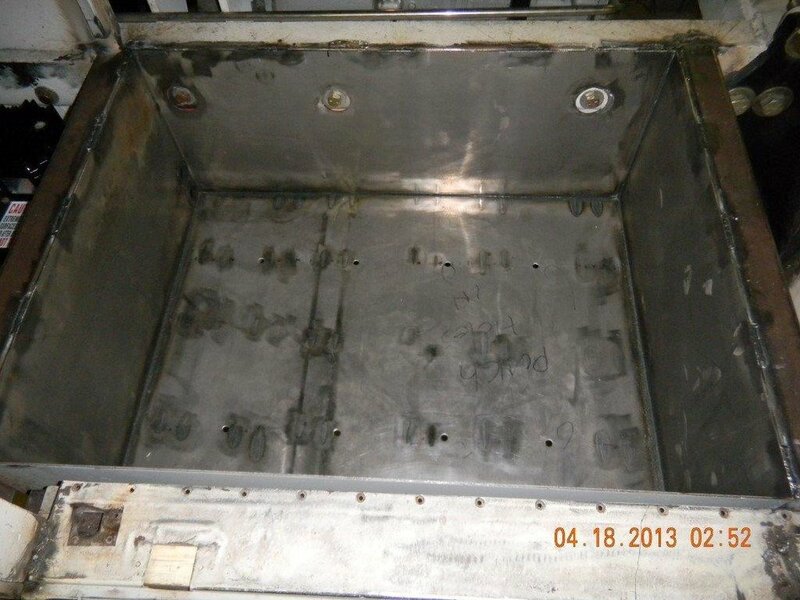 The transmission oil cooler with the stainless steel plumbing. 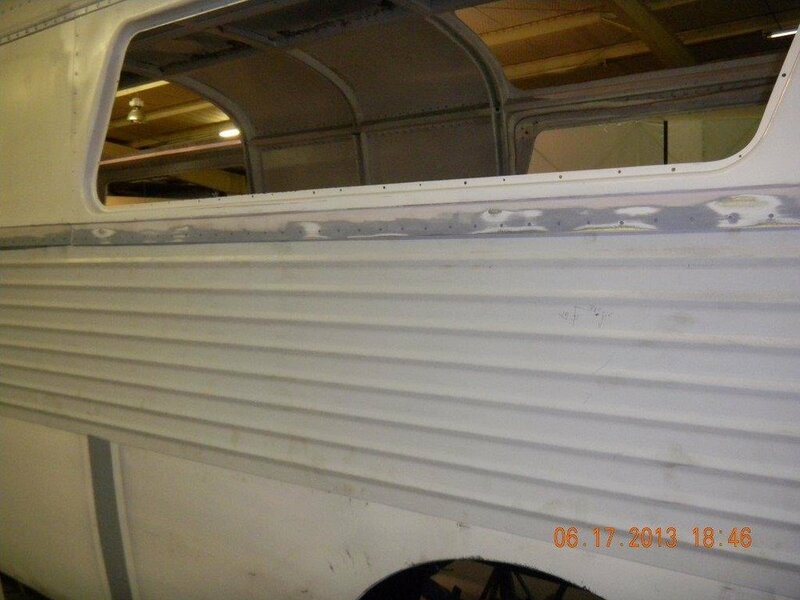 The new side wall sheet metal has been formed, wheel wells cut in and the gas door added. The panels have been drilled for rivets, but we are gluing the panels too. This is the reason for the straps to hold pressure until the glue sets. 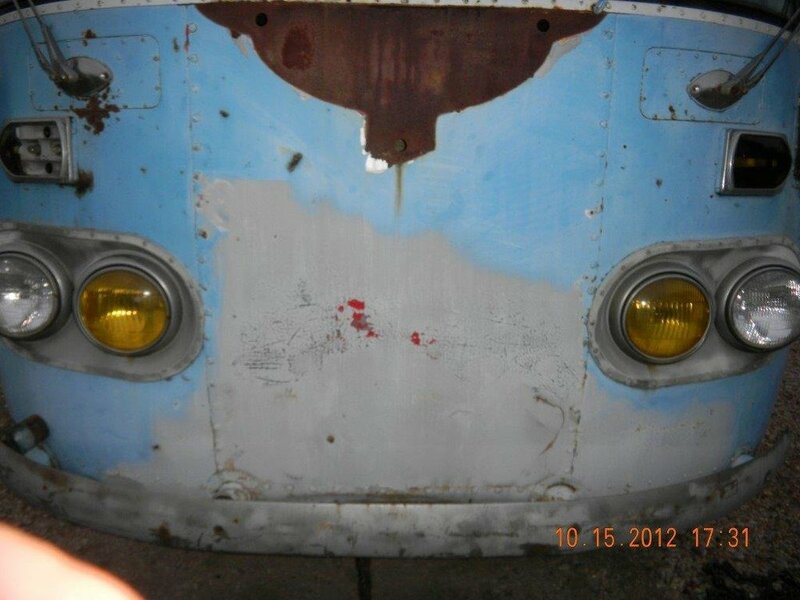 The front nose panel could not be saved. Chris and Mario are fabricating a new one using the English Wheel. The panel has a compound curve, so it takes a while to coax the metal into shape. Not quite finished yet, but getting closer. There is about 14 hours labor in this panel so far. 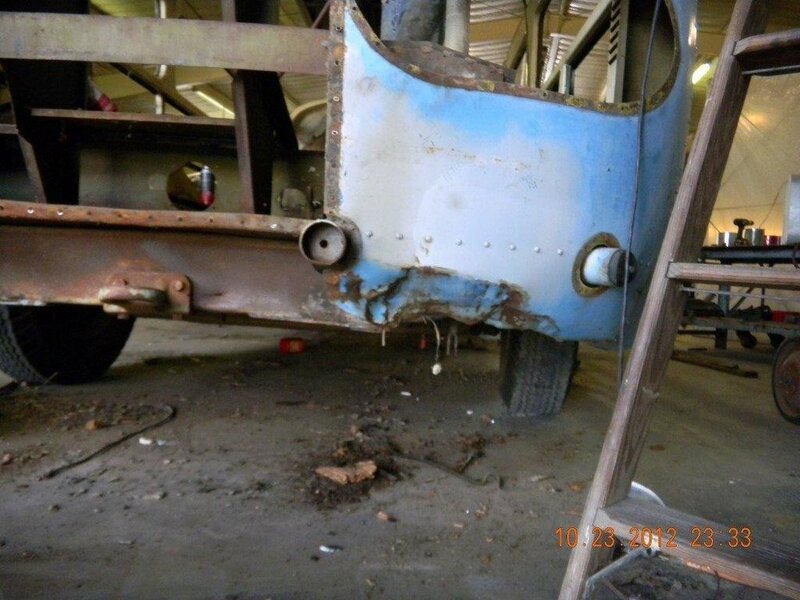 Since the original rear bumper and skirting was damaged or missing, Pete decided he would like a rolled rear pan. The bracket mounted below the body are the supports for the rear pan. The material is cut and formed to fit support brackets. 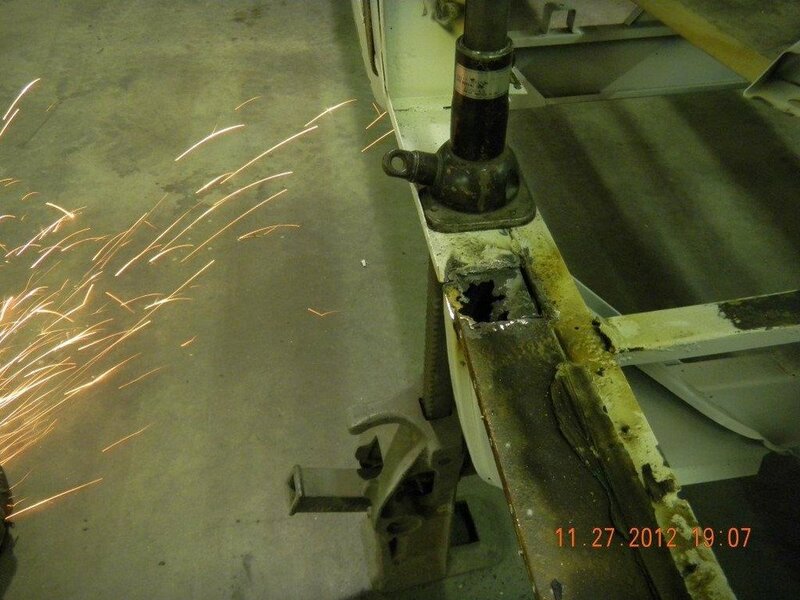 The center section required fabricating a new frame member to weld the support brackets to. The center pan is shown below. 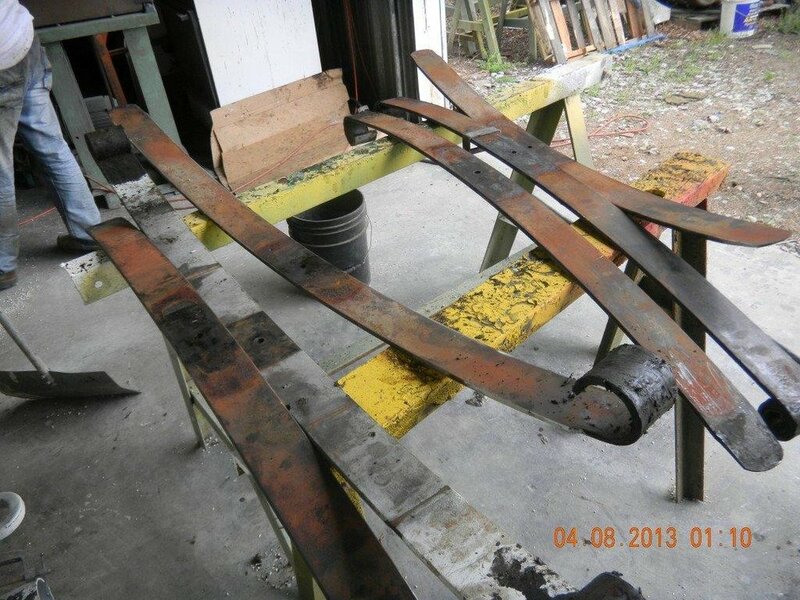 It require a lot of tack welding to get the pieces tied together without warping. Two split a/c-heating units will be installed. 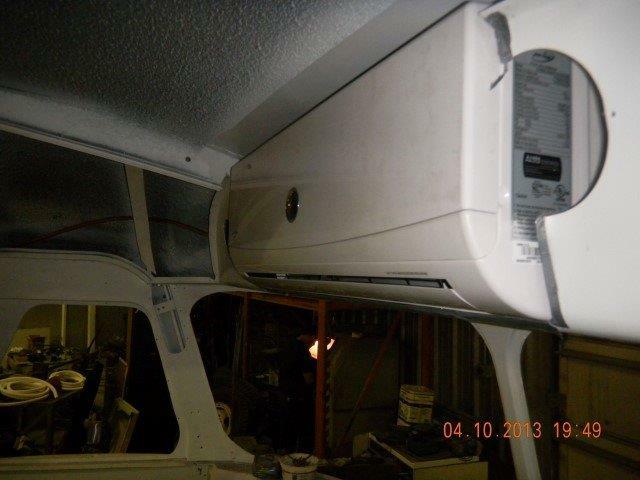 This is the front unit mounted in the overhead. The unit seems to fit fairly well. The mounting brackets are installed on the back side of the condenser. The copper lines will extend to the remote mounted compressor. This is the compressor mounted in the rear of the chassis. It will have a housing surrounding the unit with the air duct venting below. 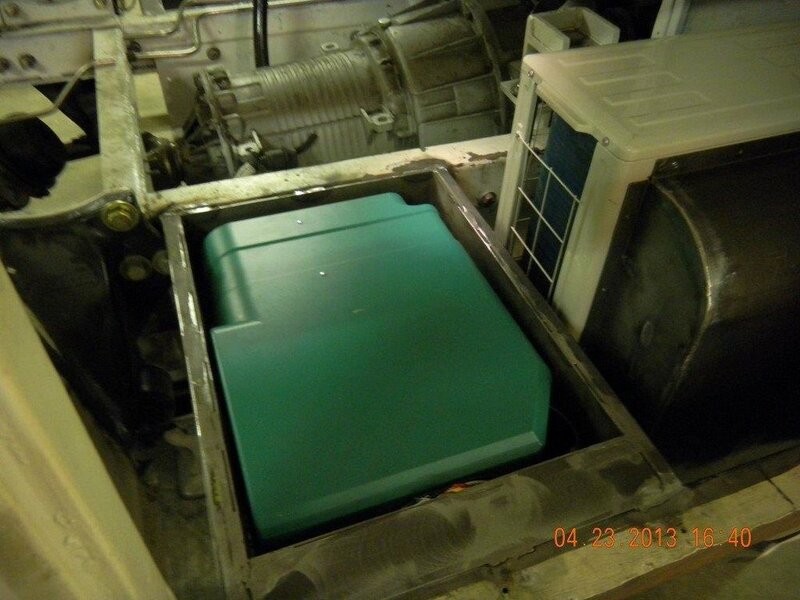 The green package is the generator in it's housing. A new battery box is fabricated to hold two huge house batteries and two coach batteries. 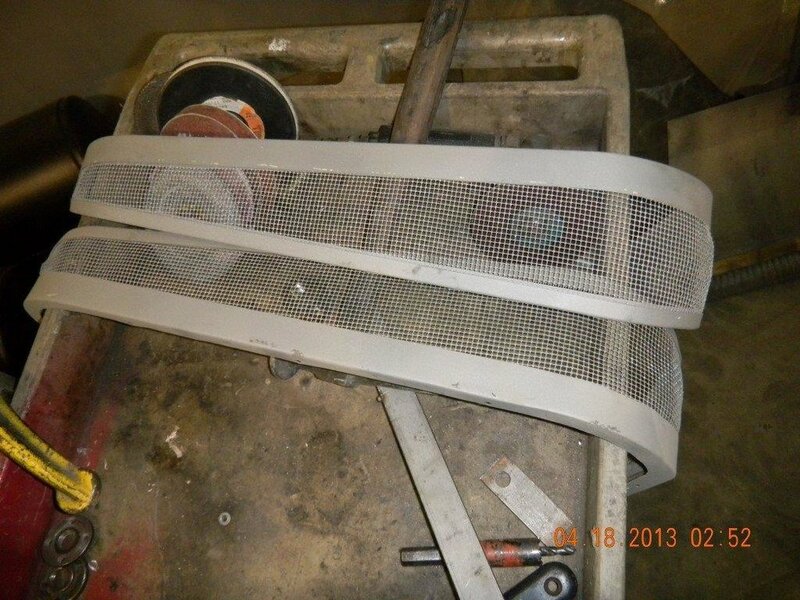 The bug screens that cover the vent windows have been cleaned and primed. The original coach heater cleaned and primed. This is one of two air vents mounted on the front of the bus. These would have been very handy in the days prior to air conditioning. Rebuilding the front axle and suspension requires removal and cleaning of each component. New assembly with new king pins, brake shoes, air chambers, and slack adjusters. A very important step to maintain stopping power. All the steering components are cleaned, examined and painted. The front end installed. The lever action shocks were still very useful probably because the control linkages were broken. 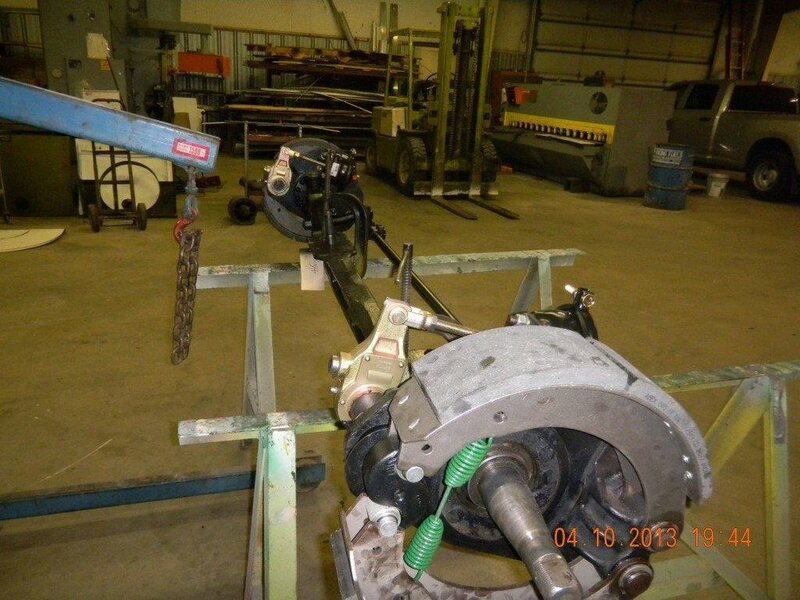 Unable to locate the original linkage, we fabricated new ones using Ford tie rod ends. A far better design than the original. A tire size pattern is used to trim and fit the new location for the wheel house. The wheel house can now be installed in the new location. 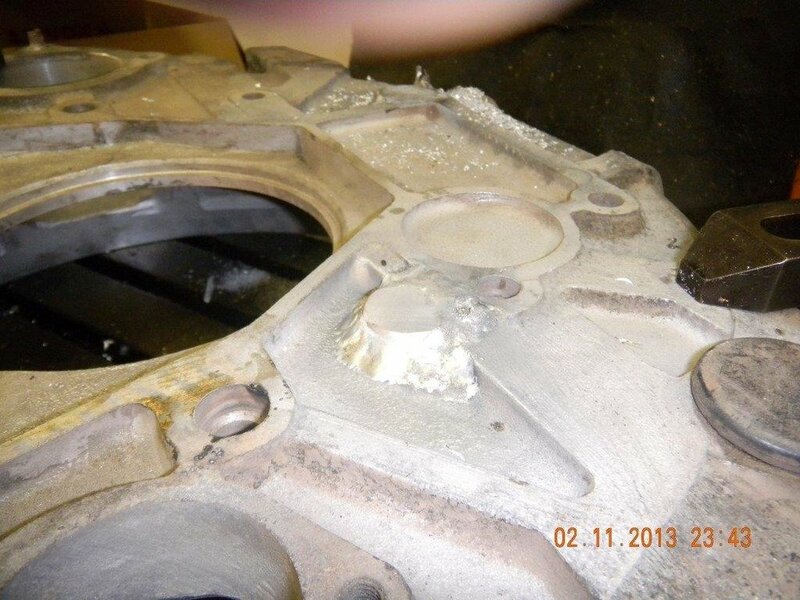 The left rear corner had been hit pretty hard, these pictures show previous attempts at repair. 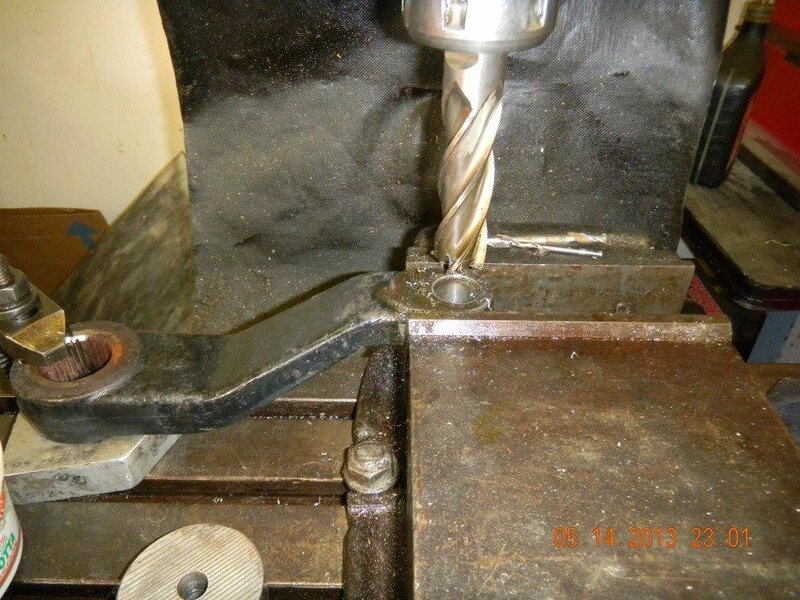 A 2" x 4" rectangular tube was cut partially through to form a radius-ed frame member. 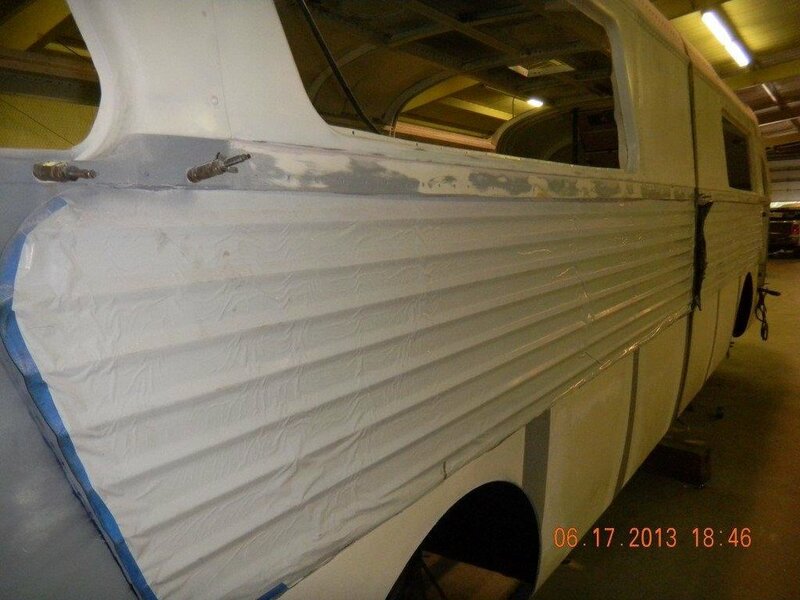 Since the quarter panel needed replaced, it was removed for easier access to the repair area. The replaced quarter panel may not look real swell, but is a far better choice than the original. It is good to have spare pieces on hand. 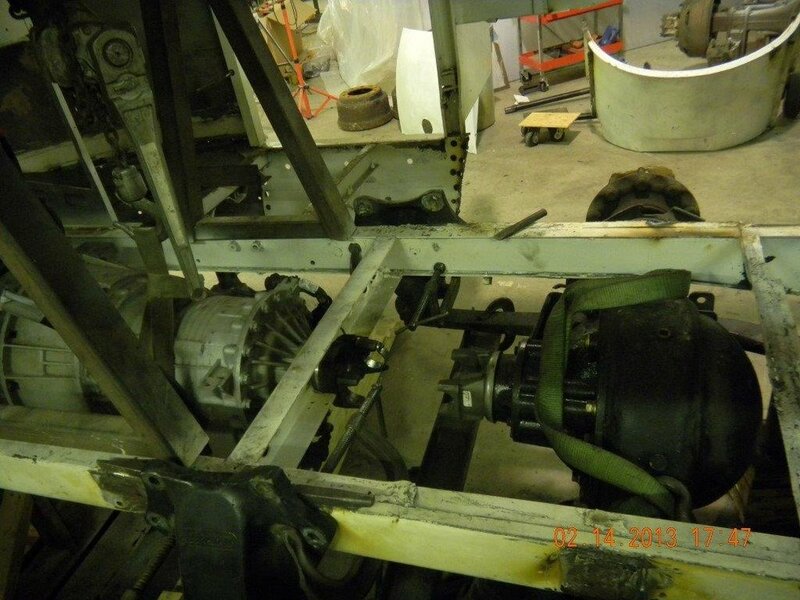 The decision to use a Cummins 6.7 from a pick up with an Allison 3000 from a motor home became quite a problem. After receiving parts and pieces from Cummins, it became clear Cummins had no clue to what we were doing. After quite a search and finding a Cummins 5.9 bell housing mated to the large Allison seemed to be the answer. WRONG! Although the dowel pins were in the right location all the bolts weren't. The bolt holes were fitted with round stock, welded, and refaced. Then new holes were drilled in the proper location. 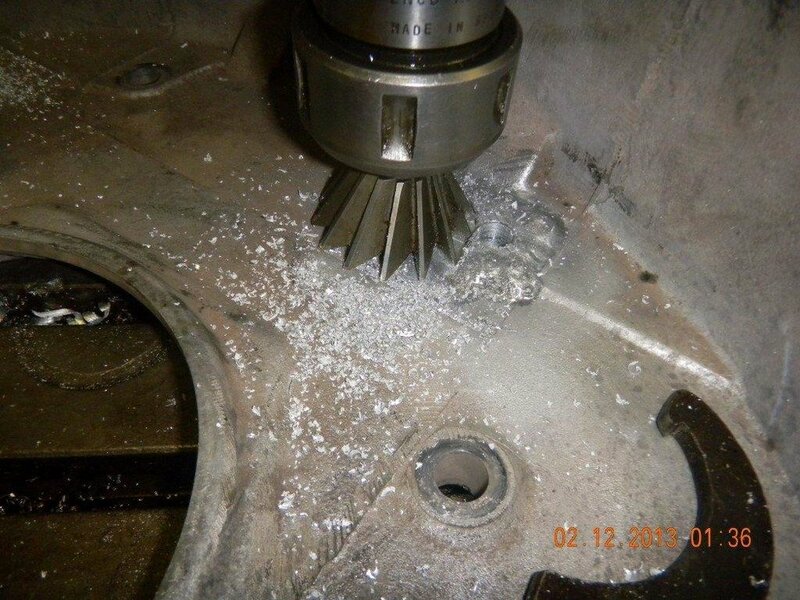 Thank goodness it was aluminum. Once the engine could be mounted to the trans, the whole package could be lifted into place. 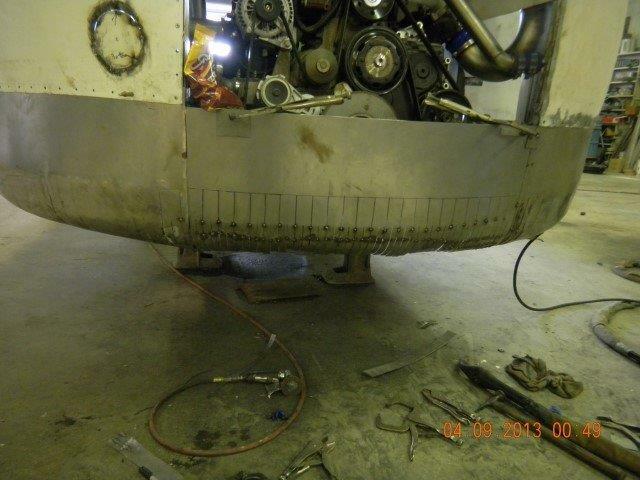 Now the engine, transmission are in place and mounts can be fabricated. Once the engine and transmission package is located where the fan needs to be, the driveline will determine where the rear end needs to be. Now the motor mounts can be fabricated. The bell housing mounts were built using 1/2" plate and will support the bulk of the weight. The mount on the cradle is fabricated to match the bell housing mount. 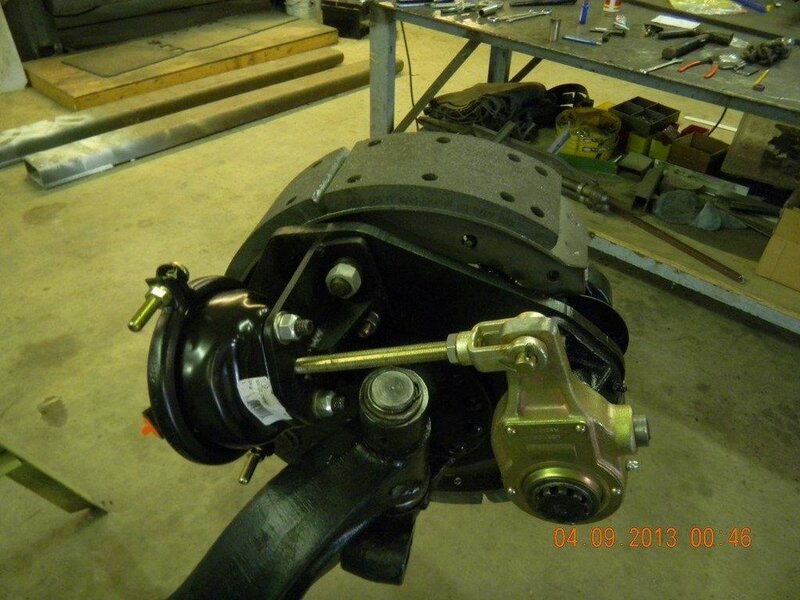 This mount is for the original Dodge engine side motor mount. The engine now rests in the cradle. The bell housing mount will be trimmed a bit to clear the exhaust coming out of the turbo. Window panels installed and rain gutter fitted. The rain gutter definitely makes the bus look better. 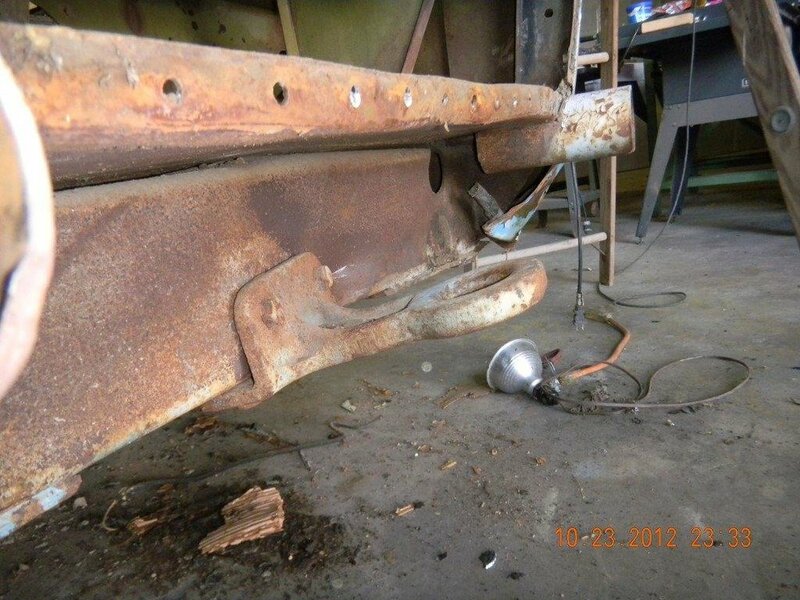 Rain gutter was bent to fit, then riveted using solid rivets. 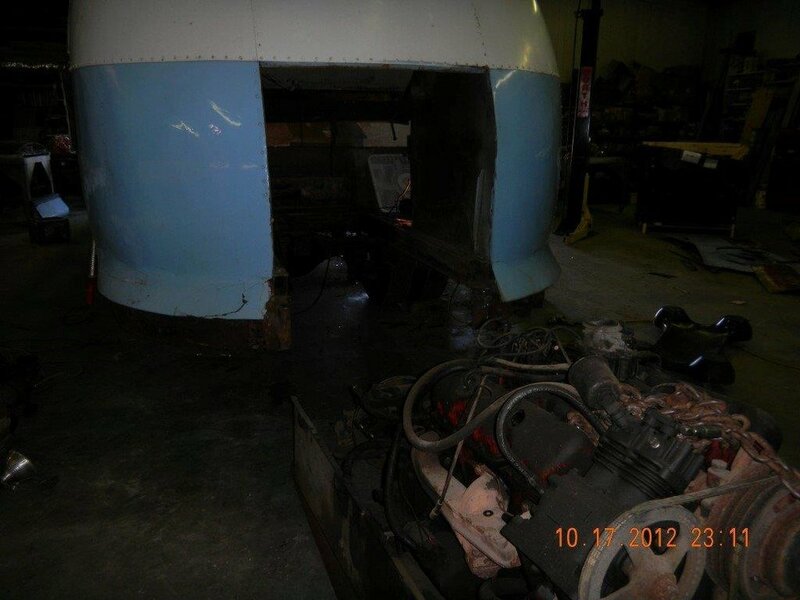 The rain gutter was removed from a parts bus, donated by Ken Ufheil, several years ago. The jacks are supporting the structure, so we can remove the emergency door with the door posts. The hinge pins have to be drilled out as they are welded in. The modified door gets a new skin. This front panel has been replaced with new skin. Bottom of body stud replaced. New lower panel has been fabricated and fitted. 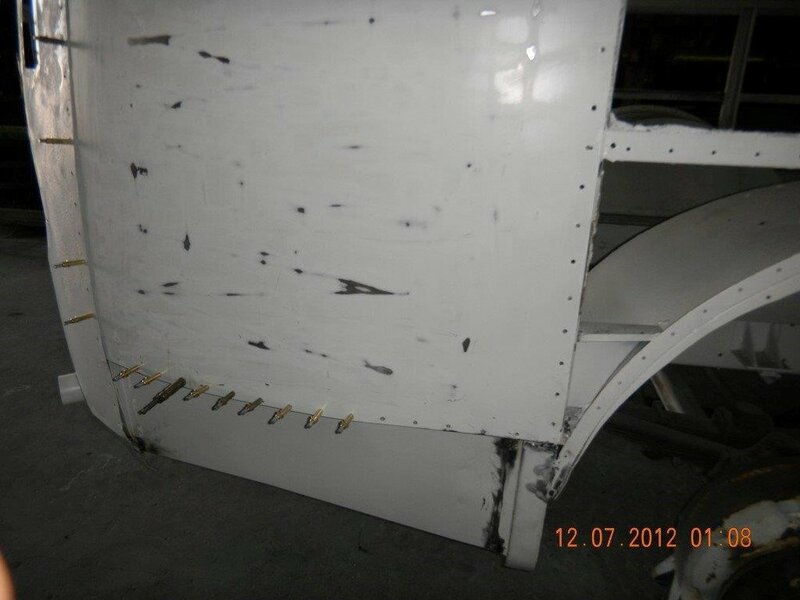 Just one of the patch panels required to repair the body work. The corrosion in the passenger door required some attention. 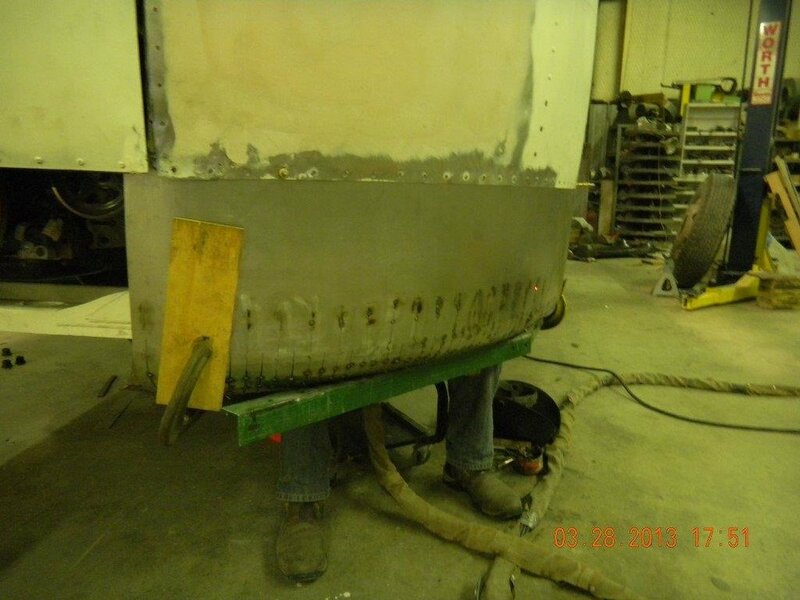 A new bottom was fabricated and patch panels cut out. Patch panels welded in and hammered out. 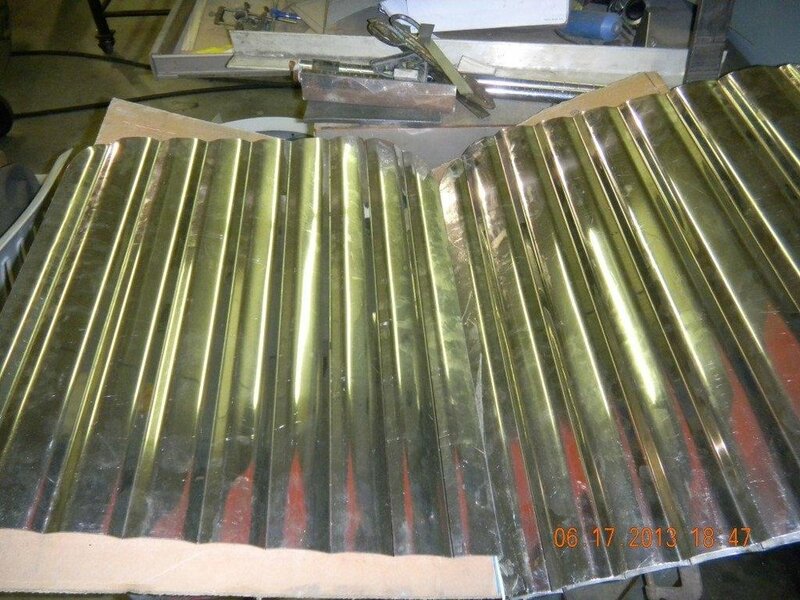 The sheet metal for the new body side panels are epoxy coated. 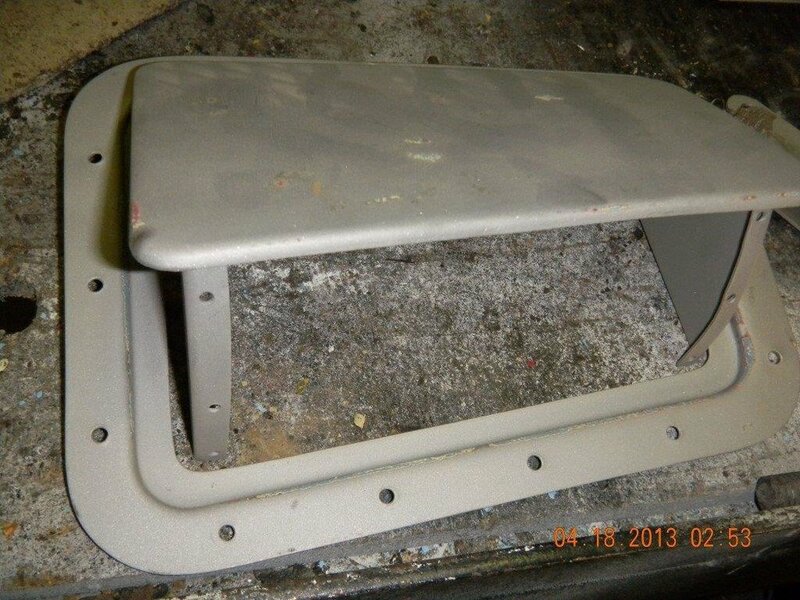 The chassis has been epoxy coated as well. New window and roof panels have been made and the center windows on the roof and side will be covered. 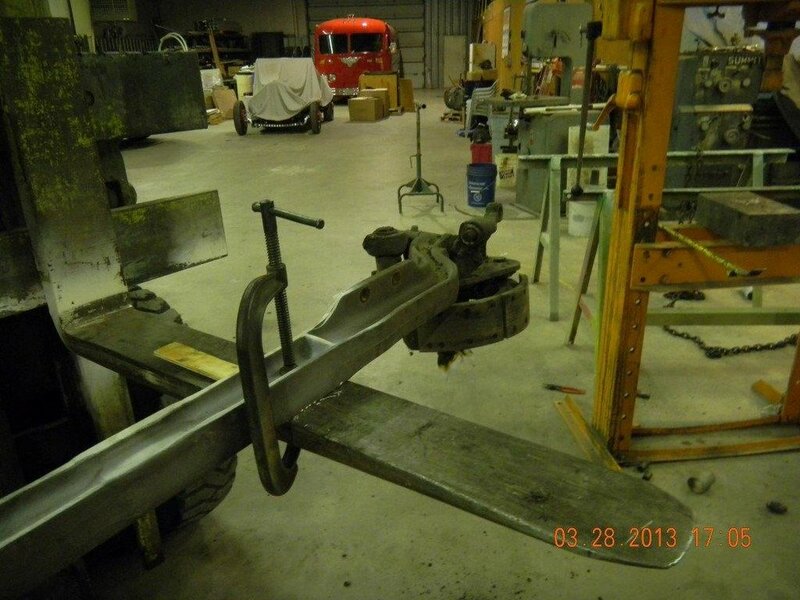 New center support members are fabricated and will be riveted in to keep the original lines of the bus. Rivet size and spacing is required to make the modifications look seamless. In 1950 the Flxible was upgraded from the Clipper line to the Visicoach. 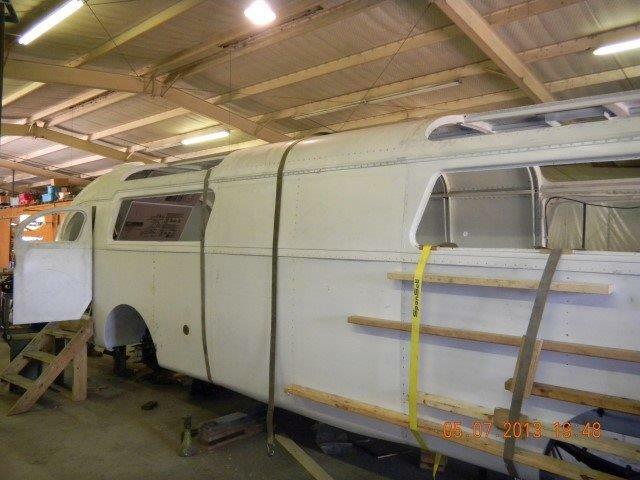 The main features were a 2 1/2″ raised roof, taller and longer windows and the rear bustle was extended 11″, giving more room for baggage and power plant. The Clipper had a window for each row of seats and the Visicoach had one window for every two rows of seats and 2 1/2″ taller, thus more visibility looking out. 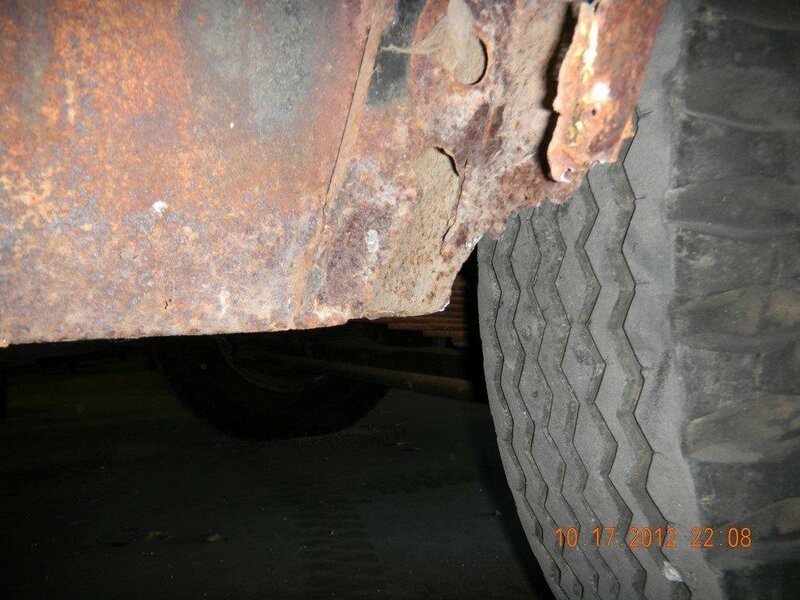 As the skin is removed, we find the extent of the damage that time and rust can cause. Each wheel well has it’s on set of issues to be repaired. 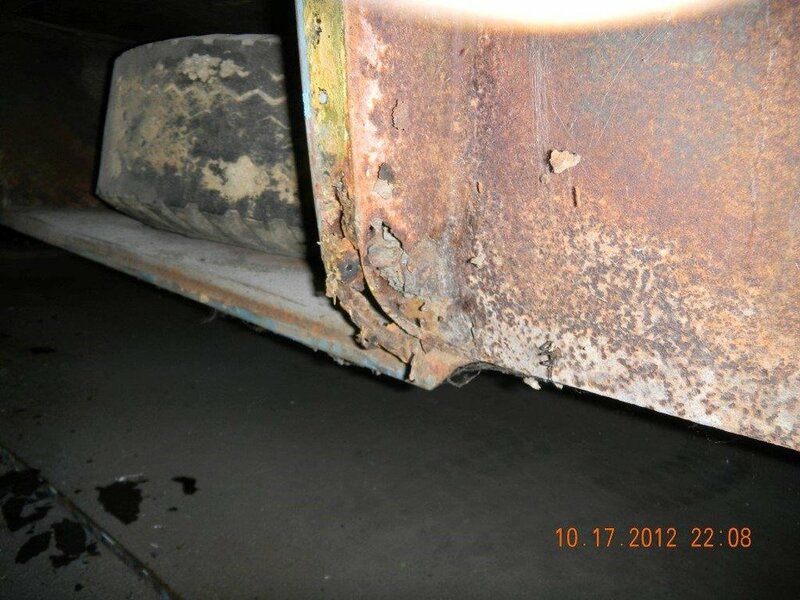 Once the skins and floor are removed, we get a chance to clean all the rust and other unknown substances from the metal. There are a lot of areas to reach, so we hoist it high with the forklift. Even though it seems a daunting task, it is refreshing to see how much metal is in great shape. The window panels cleaned and primed with epoxy, now the repair work to be done doesn't look as bad. Peter and Shari Strout brought this bus to us in hopes we could make a nice touring coach for them. This bus was originally built by The Flxible Bus Co. for the National Park Service as a Sight Seer vehicle to tour the National Parks. The reason for the glass paneled roof was that everyone on board could view the mountain scenery with ease. We don’t have any other history, but if this bus could talk. The project is named, ‘Ruthie’, for Sherry’s Mother. These photos depict the state of disrepair and abuse. It appears someone tried to load this poor girl onto a trailer without a clue of how. 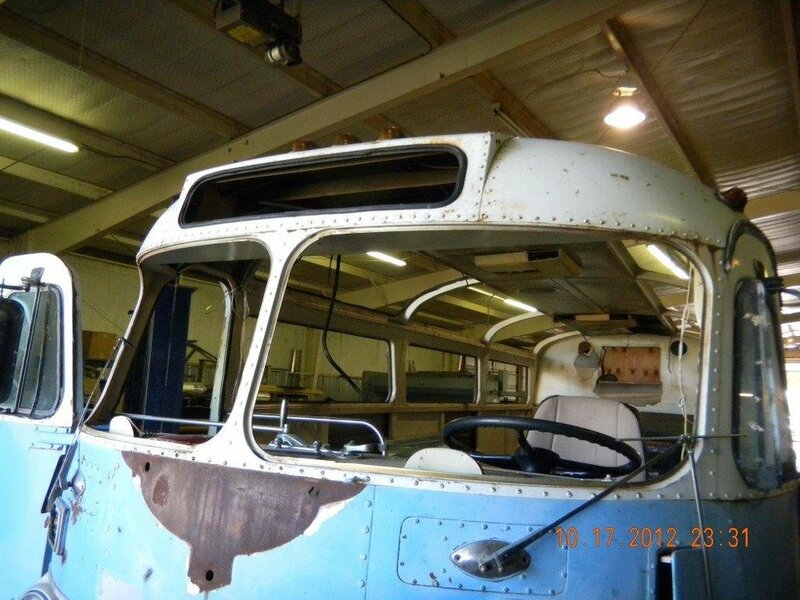 The front panels have been bashed in and the front cross member twisted. The skins and floor have been removed, now the cleaning can begin. The engine and transmission is mounted on a cradle than can be removed as a unit. The engine bay shows all the mechanical levers that controlled the engine and shifted the transmission. All this will be replaced with the Cummins ISB 6.7 diesel engine, Allison six speed transmission. 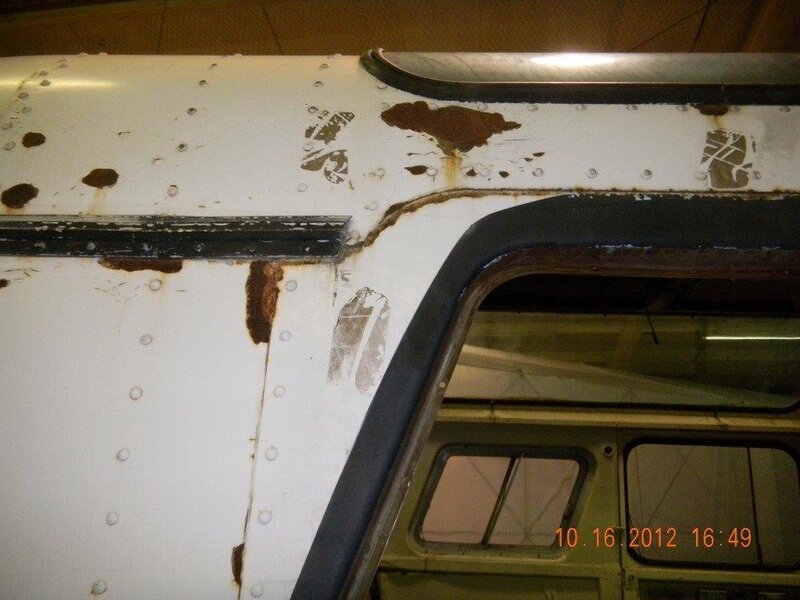 The windows and trim will have to be removed to repair the rust below. This step is necessary to remove not only the bad metal but the smell as well. You can tell when a vehicle of this age has something to hide. As my able assistant of thirty odd years, Lil’ Dave can smell where the rust is.